The Northern Wheatear – The Incredible Migrator.. 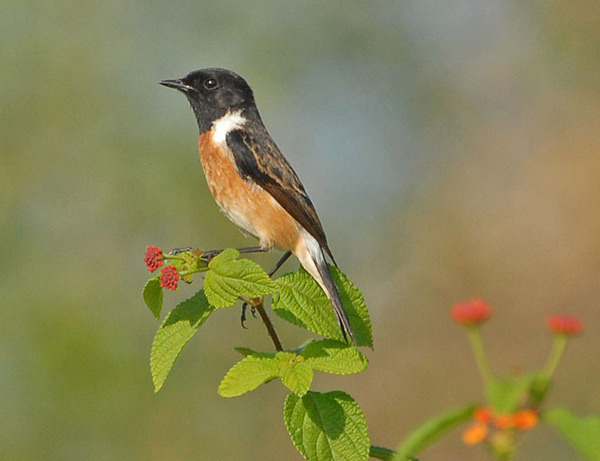 The Old World flycatcher family Muscicapidae is a large family of small passerine birds mostly restricted to the Old World (Europe, Africa and Asia). These are mainly small arboreal insectivores, many of which, as the name implies, take their prey on the wing. The appearance of these birds is very varied, but they mostly have weak songs and harsh calls. They are small to medium birds, ranging from 9 to 22 centimetres in length. Many species are a dull brown in color but the plumage of some can be much brighter, especially in the males. Most have broad flattened bills suited to catching insects in flight, although the few ground foraging species typically have finer bills. These are one of my favorite bird families–thanks for putting these links together!